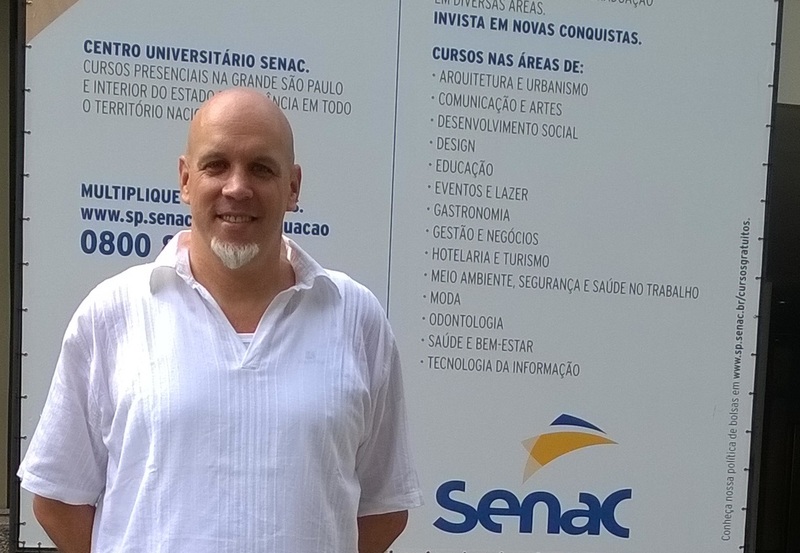 D’Arcy Dornan in this interview shares his thoughts and expertise as member of the Research and Education Council for The International Ecotourism Society and Brazil Country Representative for the Global Sustainable Tourism Council (GSTC). Which online courses in sustainability and tourism he recommends practitioners. D’Arcy, what was your view of sustainability and tourism when you started your career? As a tourism geographer, with some early professional experiences in the lodging industry on the F&B (food and beverage) operations side, I was particularly interested in physical and biological environments, human societies and their spatial interactions – both from environmental science and social science perspectives. Aside from concerns about increasing carbon footprints given my job in the industry, sustainability as we know it today was still in its early years. Now at the beginning of 2015, what has changed? 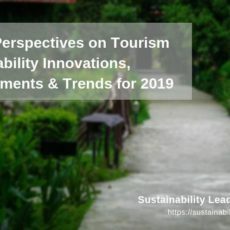 The tourism industry is embracing sustainability (still figuring it out but embracing it more and more each year) as can be seen by the increasing presence of sustainability departments, job positions in organizations, the growing numbers and importance of sustainability certification programs. Aspects of sustainability are also being celebrated in such global industry events at the WTTC’s Tourism for Tomorrow Awards, the World Travel Market’s World Responsible Tourism Awards, the ITB’s World Legacy Awards. In other words, in 2015 sustainability is everywhere! All around the world, city councils and national tourism boards are working on sustainability policies. Many universities and management schools now include sustainability in their tourism and hospitality management programs. I was pleased to hear that the International Council on Hotel, Restaurant and Institutional Education (ICHRIE) chose sustainability as theme for its upcoming 2015 summer conference. 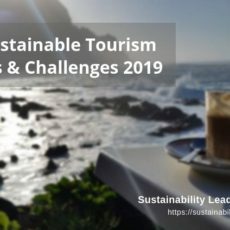 While sustainability remains a challenge for the industry, it is now acknowledged as a strategic priority, including on the websites of organizations, such as the World Travel and Tourism Council and the United Nations World Tourism Organization. Your main insights as a leader in the sustainable tourism field? 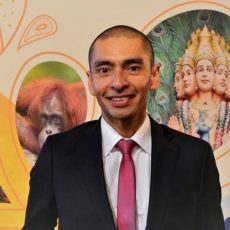 We are at a unique moment in history where we must continue to actively engage in the continued education and development of sustainability in tourism. I have been astonished by the reaction of students from around the world in classes I have taught on sustainable tourism in the U.S., France and Brazil by their lack of understanding as to the immense amount of work that has been ongoing, historically speaking, with regards to sustainability. The reaction of students saying that sustainability in tourism is new and just a passing trend is something that I have endeavoured to help them understand and overcome. My teaching experiences demonstrate that we need to continue to actively pursue the sustainability agenda in education, partnership development, stewardship, networking and innovation. The quote by Ghandi “We need to be the change we wish to see in the world” sums up my main insights. Do you share the view that sustainability has become mainstream? I do and I do not. Perhaps I would agree that the word sustainability has become mainstream, but not the practice. What is true is that more and more organizations and destinations have now embarked on the sustainability journey, which used to be much more of a niche. Where do you see the main challenges for sustainable travel and tourism? While sustainability is more and more aligned with the strategic management of an organization/destination, it still does not receive priority status. To a certain degree, we still rely on the early accepters, those who have already understood and embraced sustainability. Others have been more hesitant but are now joining in as they see the mutual socio-economic and environmental benefits. The remaining businesses and destinations will likely have to be persuaded via policy and regulatory frameworks that make sustainability mandatory. A key challenge is to make people and organizations in travel and tourism realize that sustainability means sustained income and revenue as much as it means benefits to local communities and the natural environment. After all, respectful, responsible tourism is increasingly sought after as a product, service and solution. The opportunities of course are myriad; those who have already actively engaged in sustainability are now reaping the benefits of being at the forefront of media interest and recognition among their peers. The Global Sustainable Tourism Council describes many of the key benefits in its guidelines, available from gstcouncil.org. In which regions of the world do you see most interest and momentum for sustainability in tourism? There are excellent initiatives taking place the world over. Sustainable Travel International’s regional alliances demonstrate this with some specific regional coverage for the Americas, South Pacific and Southern Africa. If we look at the GSTC’s Early Adopter Destinations, we note that the following countries are involved, Chile, Botswana, Peru, Norway, China, the U.S., the Canary Islands, the Caribbean and Mediterranean, Mexico. The National Geographic’s Center for Sustainable Destinations Geotourism program covers some of these same regions with the notable inclusions of Canada, Guatemala, Honduras and Romania. Much else is going on around the world, programs focused on European and Asian nations and the South American Sustainable Tourism Network, which is a project for which I am one of the cofounders, is also underway. The members of The International Ecotourism Society are sharing exciting program/project initiatives in such countries as Lithuania, Kenya, Zambia, Australia and more. Green Destinations is also a most interesting new initiative which published at the end of 2014, the Sustainable Destinations Global Top 100 which was created to celebrate the management efforts of the world’s most sustainable tourist destinations and of course is indicative of regional interest in sustainability in tourism. Your favorite tourism, travel or sustainability book? The book by Lew, Alan et al. (2015) entitled: [easyazon_link identifier=”1465256482″ locale=”US” tag=”slpus-20″]World Regional Geography: Human Mobilities, Tourism Destinations, Sustainable Environments[/easyazon_link], published by Kendall Hunt is a book that I have read and used previously in global tourism and or geography of tourism courses in both the U.S. and France. This latest edition is one that I am also indicating for use in an upcoming course to be delivered here in Brazil. The book chapters present and explain the field of geography and how this discipline relates to the field of tourism. Highly recommended not just to college students but to the lifelong learners in all of us. Why did you decide to join the GSTC as Brazil Country Representative? I have been following the continued development of the GSTC since its inception and took the opportunity to participate in its annual meeting which was held in Bonito, Brazil in April of 2014. This GSTC meeting was held in conjunction to The International Ecotourism Society’s annual Ecotourism and Sustainable Tourism Conference. The GSTC, with its new (at that time) CEO, Randy Durband, was in the process of redefining some of its strategic business development goals and I was able shortly after the meeting to apply to become its first country representative and sustainability trainer. I did this for a number of reasons, one of which was to help spread the word about the Global Sustainable Tourism Council’s work on the development of its Global Sustainable Tourism Criteria. Another reason was that I had also just recently moved back to Brazil as a visiting researcher and so the timing and opportunity was right. Why the THINK Tourism Hospitality Information Network? THINK was born out of a strategic hospitality management MBA course project. The reasons, desire and interest to develop THINK were multiple (knowledge transfer, networking, information technology skills and professional development, etc.). THINK is a professional group on LinkedIn, a place to share, exchange and discuss thoughtful and thought-provoking innovations and information about tourism and hospitality jobs, internships, educational and other training programs, grants and scholarships, research and development consultancy or other projects, upcoming events, etc… Please come THINK with us…! Which online courses in sustainability and tourism would you recommend practitioners? I would recommend The International Ecotourism Society’s and George Washington University’s Certificate in Sustainable Tourism Management, which is awarded jointly by the two organizations. A new online sustainability and tourism program in Portuguese will be available soon, watch for the announcement in THINK! Connect with D’Arcy Dornan on LinkedIn. Enjoyed our interview with D’Arcy Dornan, Brazil sustainable tourism expert? Spread the word!